My first post on this brand was on the 5th November following a great conversation and tasting with them during Savour Kilkenny. Since then I have been lucky enough to start doing some work with them on a web project and I am really enjoying their approach to and passion for the business. One of the things they shared with me recently was a new version of their labelling – which is already ultra-sharp. Click on the images above to be brought to the relevant pages on the Organic Supermarket site. 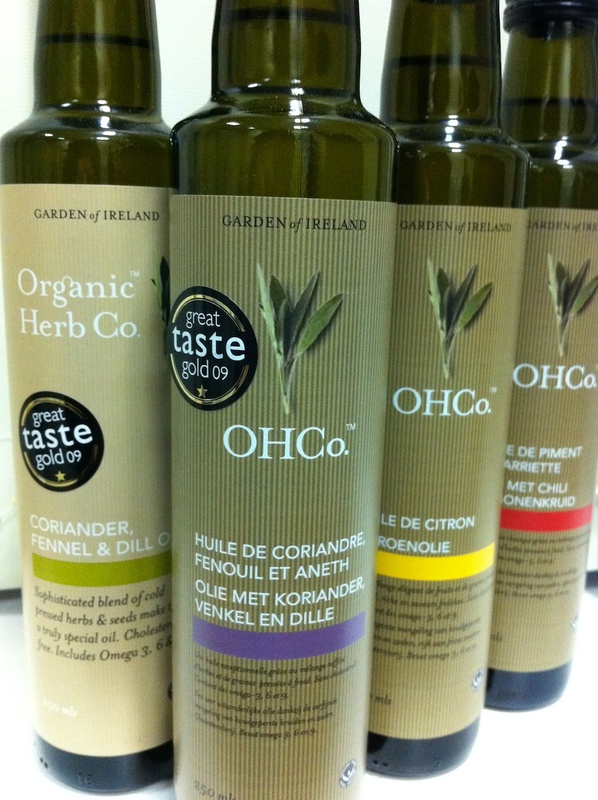 An opportunity to try one of these for the first time and see just how delicious they are (I have the Irish Garden Herb oil and it is superb). These guys have a lovely display in Zest Cafe Ennis. It is great for me that they do the more unusual herbs and spices like Pink Peppercorns.